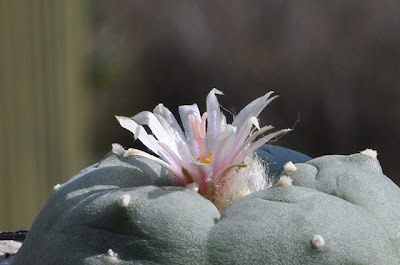 I was sorting out my photos and found a few pictures of plants that flowered this summer. 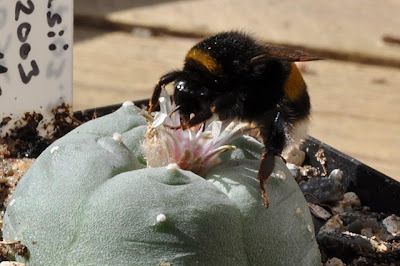 This Matucana madisoniorum plant was bought earlier in the summer from Kakteen-Haage to experiment with growing it in my coldhouse. 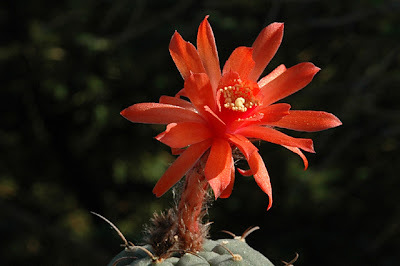 The species is said to be pretty cold-tender so the chances for survival are probably not the best - it would be sad, though, not to see it display its beautiful orange-red flower again. 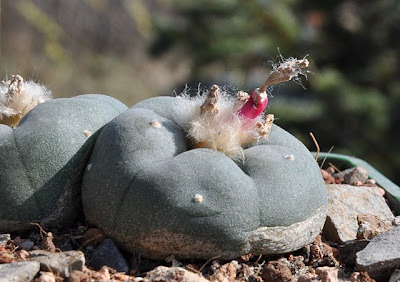 The species was originally described as Borzicactus madisoniorum by Hutchison in the journal of the Cactus and Succulent Society of America (vol 35 (6), pp. 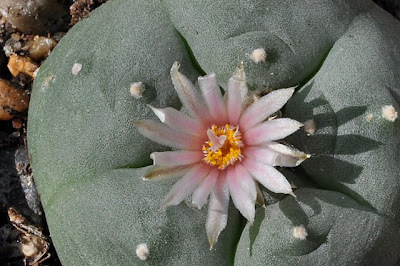 167-172) and later transferred to the genus Matucana. The description was accompanied by the plate below. 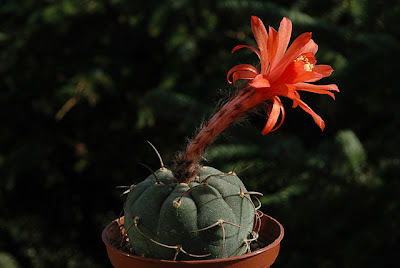 Plate description: Borzicactus madisoniorum. Composite plate by May Bios, 1958, from different plants under cultivation, all of the type collection. 1, 2. 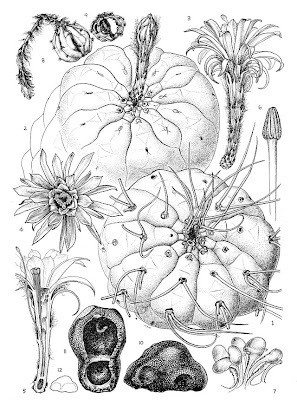 Apical views of spiny and spineless plants. 3. Lateral view of flower. 4. 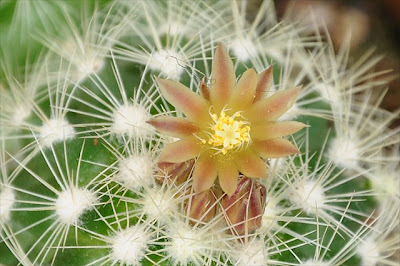 Apical view of flower. 5. 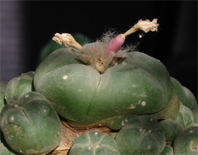 Longitudinal section of flower. 6. Stigma. 7. Funicles. 8. Ripe fruit. 9. Dried fruit. 10. Lateral view of seed. 11. Bottom view of seed. 12. Lateral view of seed, the dotted lines showing the extent of invagination of the hilum. 1-5, 8, 9, natural size. 6, x 4.5.10, 11, x 70. 7, greatly enlarged. 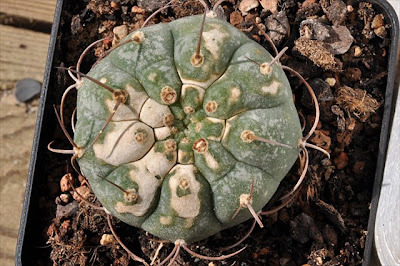 Matucana madisoniorum has its natural habitat in Amazonas, Peru with a very limited distribution, it has been heavily collected and faces an unknown future in the wild.